It is believed that the Rav was ordained by Rav Yosef Rosen the Rogochover Goan (d. 1936). 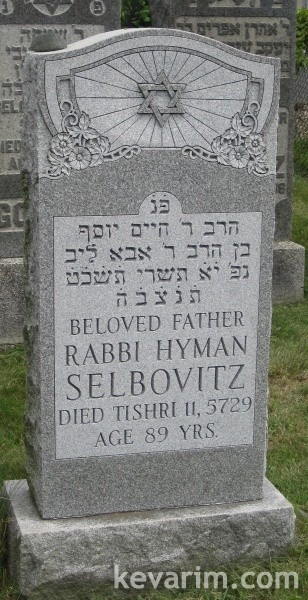 My son, Andy Gendil was named for my great uncle Chaim….He was my grandfather Philip Zelbovitz’s brother. Uncle Chaim was my Bubbe Fine’s brother. I’d like to be in touch with some of the people whose comments I’ve been reading. Uncle Chaim’s father Abba Leib went to a town in South Africa where he was chief rabbi. He also was ‘av ha-bais din’ and his son Mordechai was a member of the bais din.